Click on a thumbnail below for a larger view or click here for a detailed view of Craig's work. 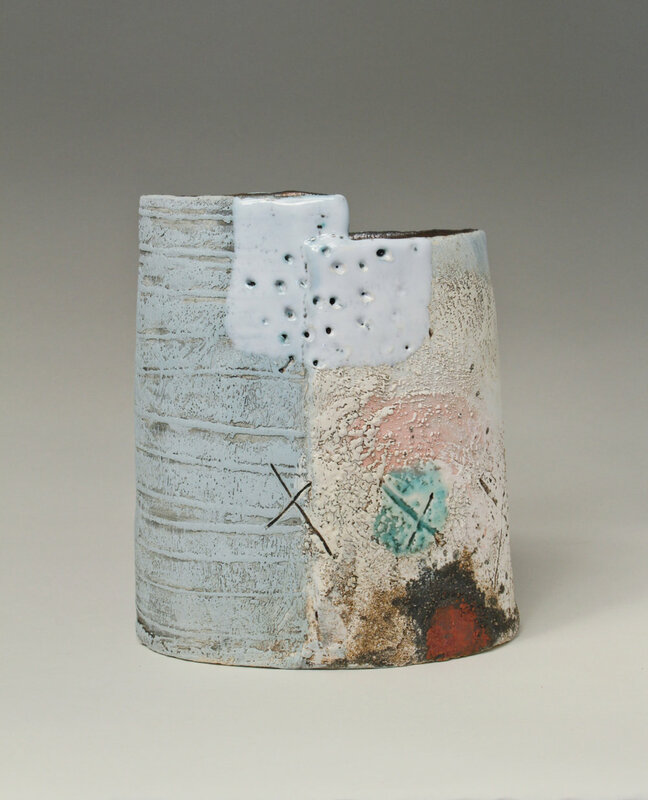 Craig was born in Scotland and studied ceramics at Harrow College and then Fine Art at Portsmouth University. His studio for the last 20 years has been in his garden at his home in the Midlands. Here he aims to create an inspiring space to work, in which he can be both relaxed and focused. 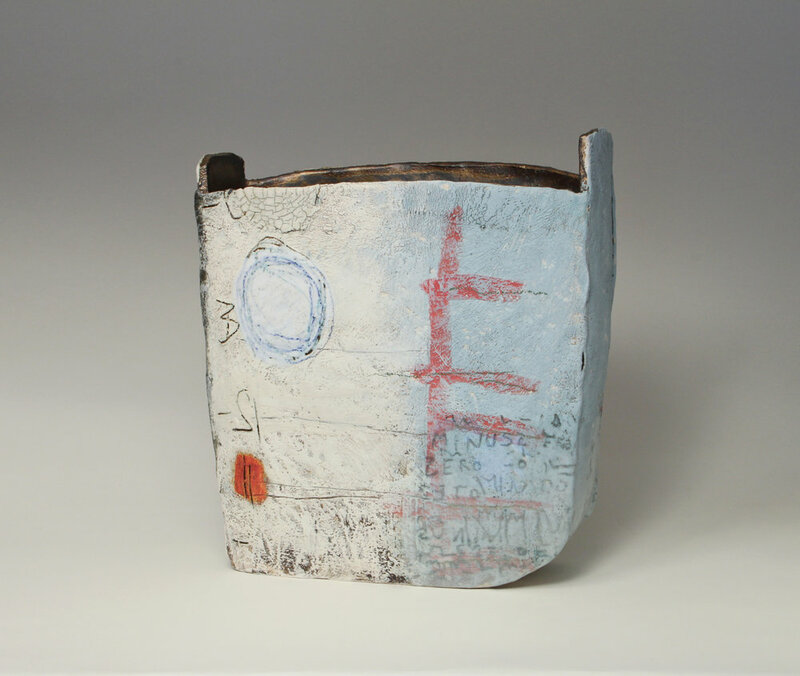 He makes slab built vessel forms that essentially act as 3D canvasses for him to explore the apparently infinite possibilities for mark making that can be achieved with a clay surface and ceramic materials. He wants his work to evoke a feeling of landscapes and places that are affected by time, over either short periods or eons, and he wants to appreciate landscape not only as grand open vistas but also as small-scale intimate spaces. Craig is based in the Midlands but also spends time around the coastline of Devon and Cornwall, which is particularly influential in the development of his work. Yet he can also be inspired by the apparently mundane and often unappreciated landscapes in day-to-day environments. The activity of collecting and exploring ideas through sketchbooks is an important part of his creative process. In sketchbooks, he can push boundaries, be playful, record and investigate in an unpressured way and this helps in the continuous development of his work. 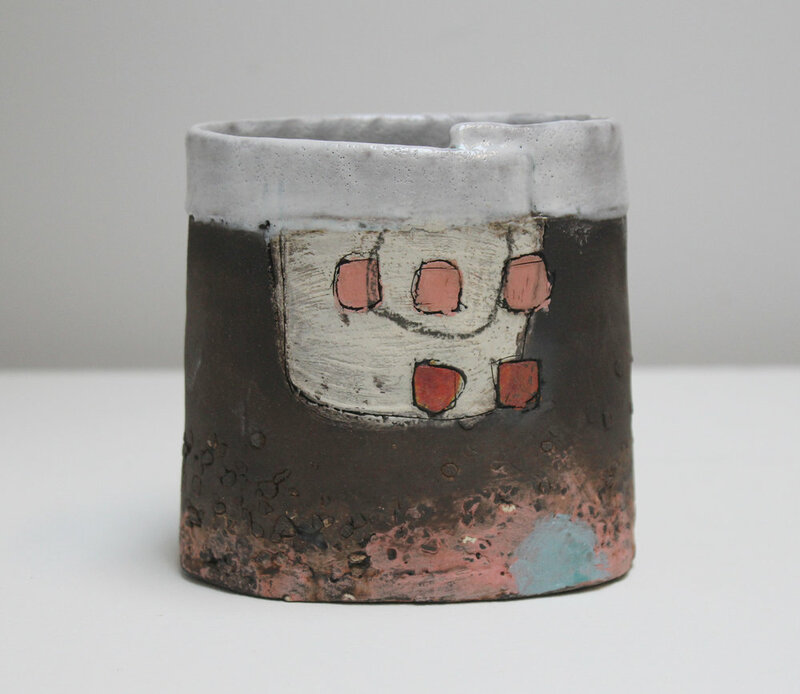 Although he works mainly in ceramics, he has a strong appreciation of other art forms and an interest in the creative process of a broad spectrum of other artists. He especially enjoys the work of artists Cy Twombley, Antoni Tapies and Ben Nicholson. 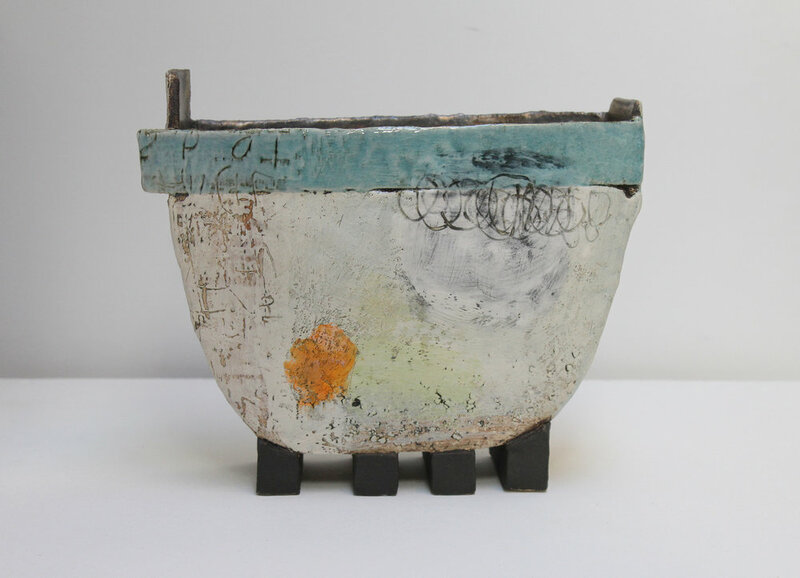 Craig’s work is exhibited in galleries across the UK and Europe and his work is held in many private collections.